The Grand Berkshire Bathhouse truly is grand at almost 1300 square feet! 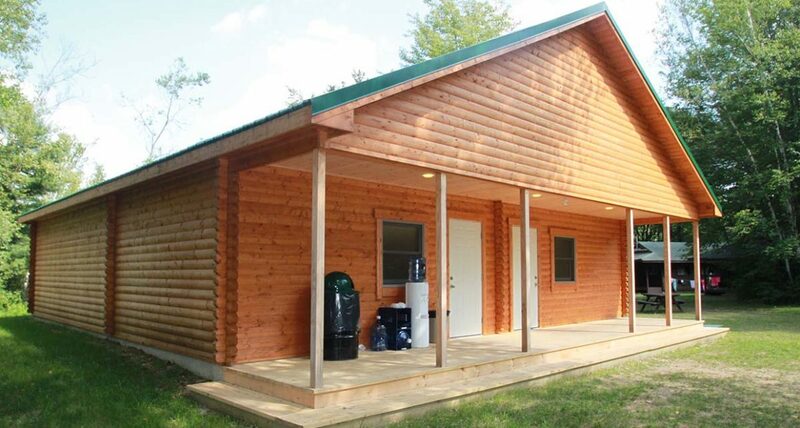 It is the perfect complement to the campground that accommodates large groups of people. 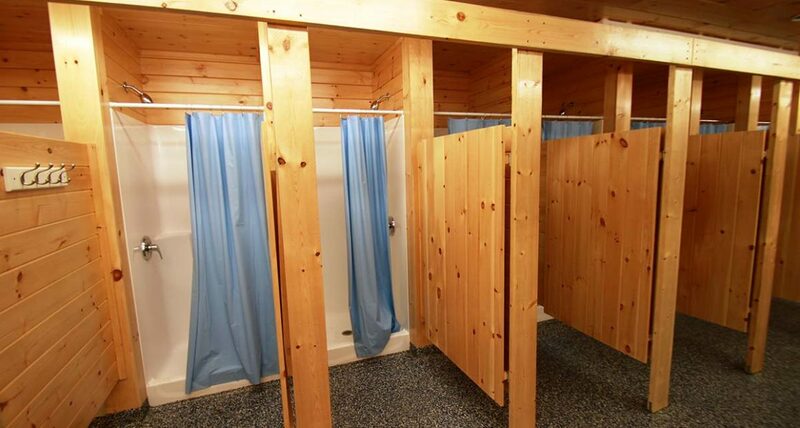 With 18 shower stalls, 6 sinks and 6 toilets, your campers will never have to wait in line. Each shower stall even includes a dressing area. A large utility room can double as a storage area for cleaning supplies. 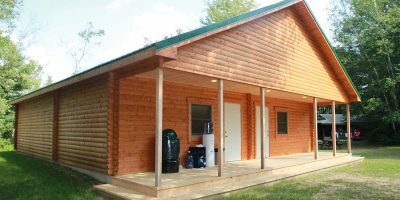 Originally designed for a summer camp in Massachusetts, these cabin kits floor plans are popular throughout the United States. Extend the log cabin look to your bathhouses. 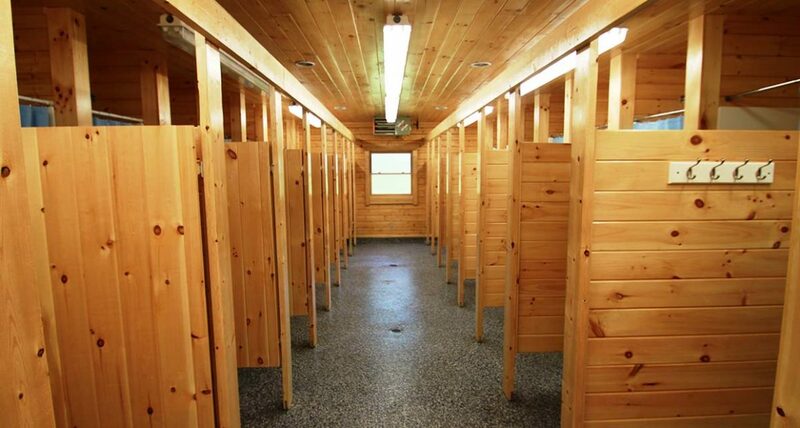 Log cabin bathhouses are far more attractive than concrete block prison style buildings. 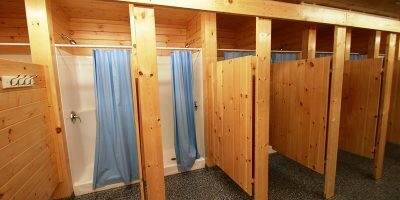 Log cabin bathhouses can be easily insulated unlike concrete block to ensure your campers comfort year round. Whenever you visit travel review sites, bathrooms are among the top things that guests comment on. You want your campers to remember how nice the bathrooms are. 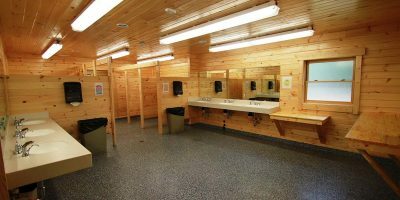 Nice restroom facilities help to ensure return visits. 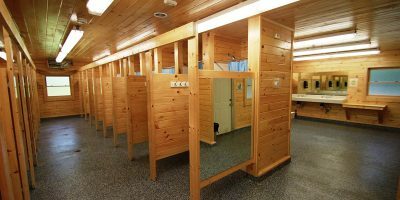 Whether your campers are sleeping in log cabins, tents or bunkhouses, they will appreciate the hot showers and flush toilets in the Grand Berkshire. Add some benches to the covered porch so campers can hang out while they wait for friends to finish brushing their teeth.